What’s your coin of the year? 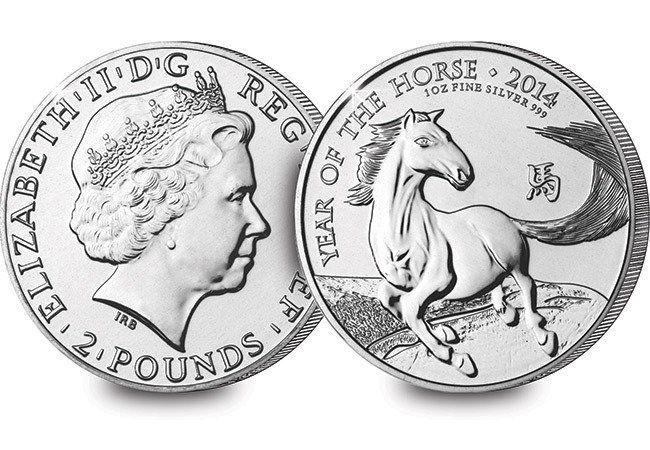 We have selected our top ten shortlist of the most popular coin designs of the year – which one is your favourite? Cast your vote now using the poll at the bottom of the page. 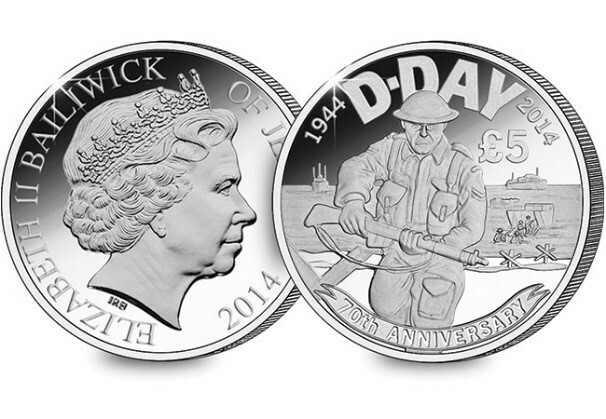 Celebrating 70 years since the heroics of D-Day, this £5 coin from Jersey depicted a soldier landing on the beaches during the epic conflict. 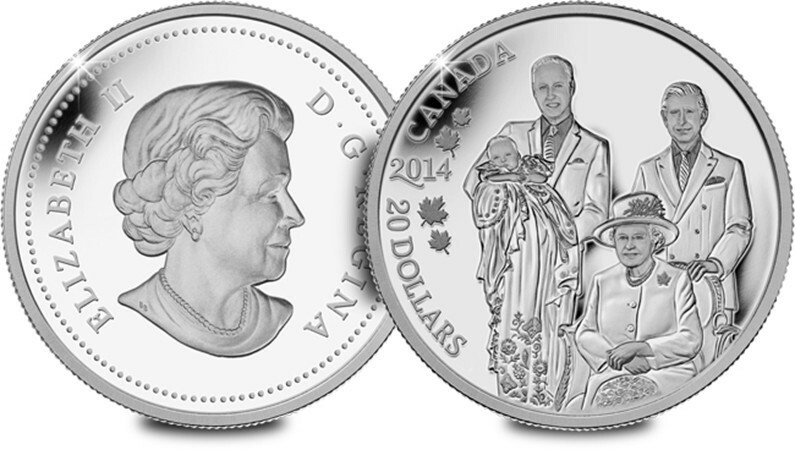 For the first time ever, four generations of the Royal Family were engraved on this Canadian $20 coin. 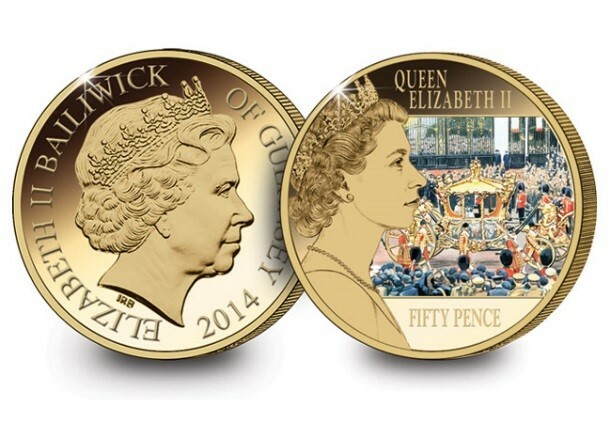 Also of note is the fact that the coin shows the direct line of succession for the throne. 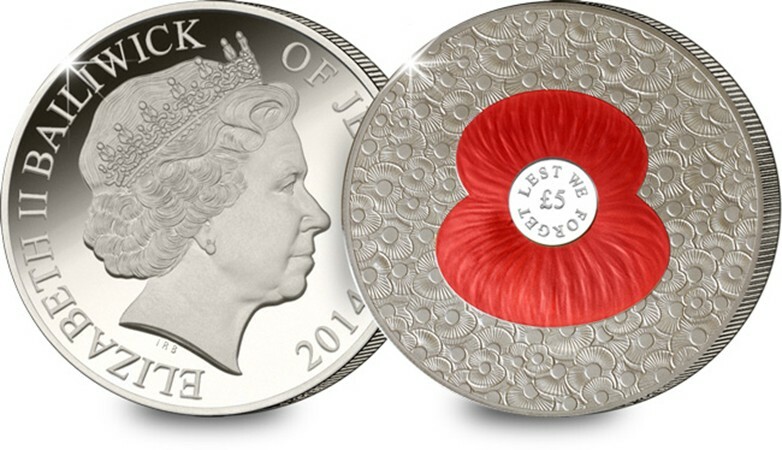 Issued in support of the Royal British Legion, this coin grabbed the headlines with its 100 engraved poppies, one for each year since the outbreak of World War I in 1914. 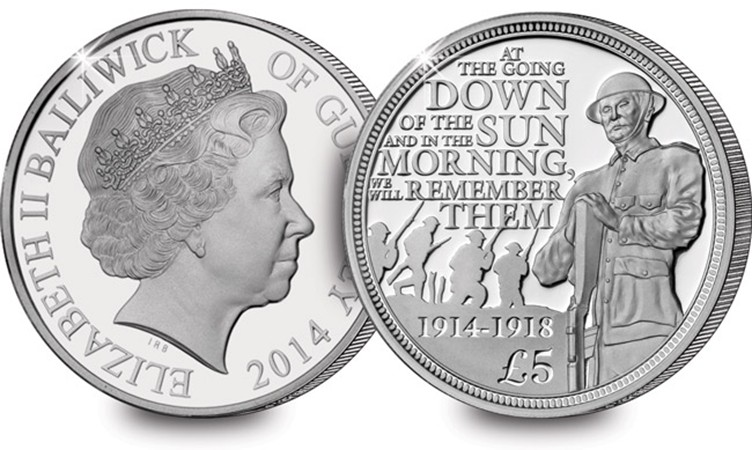 Issued to commemorate the Centenary of World War I, this emotive coin from Guernsey features lines from Laurence Binyon’s famous poem ‘For the Fallen’ alongside a uniformed soldier. 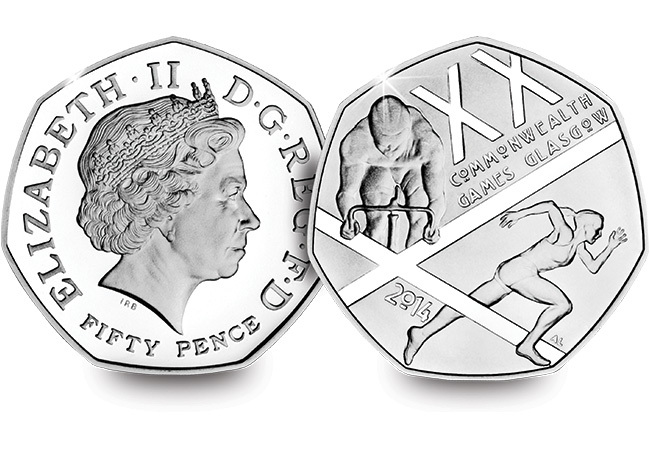 In July the Commonwealth Games was held in Glasgow – and the nation really got behind ‘the friendly games.’ The Royal Mint issued this 50p featuring a runner and a cyclist alongside text in the ‘arts and crafts’ style. 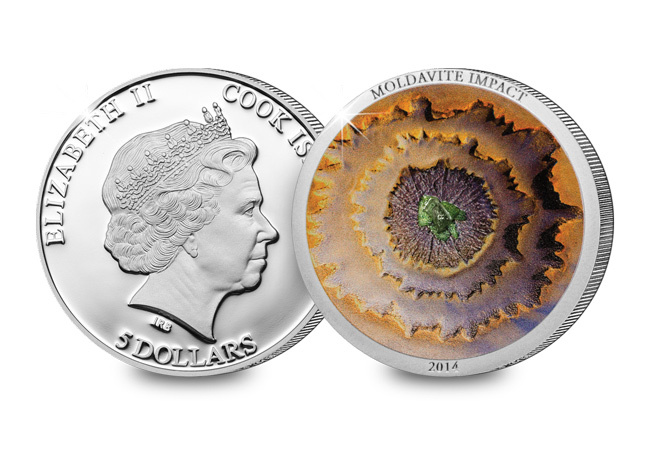 Surely one of the most innovative coins of the year – this remarkable concave coin features a real piece of Moldavite – a mineral created during a meteorite collision with the Earth millions of years ago. In 2014 the Royal Mint decided to copy the other established mints of the world and introduce a ‘lunar’ coin, principally for export to China. An unusual departure for our coinage, it’s nonetheless an energetic and lively depiction of a horse. 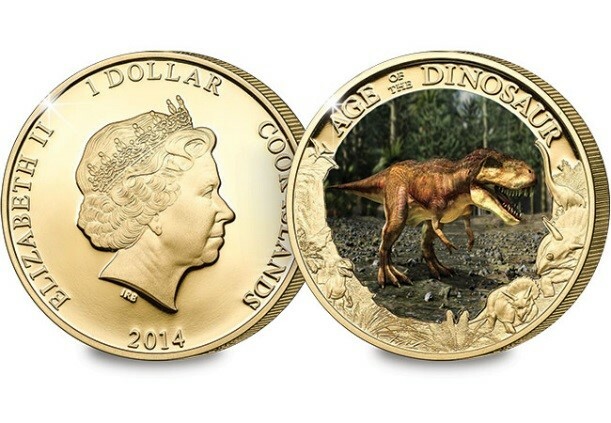 Containing a hidden secret, this photographic T-Rex coin reveals the skeleton of the dinosaur when a UV light is shone over the surface. Looking back at some of the key moments of Queen Elizabeth II’s reign, this Guernsey coin features an engraving of the young Queen, alongside a full colour photograph of her Coronation ceremony. 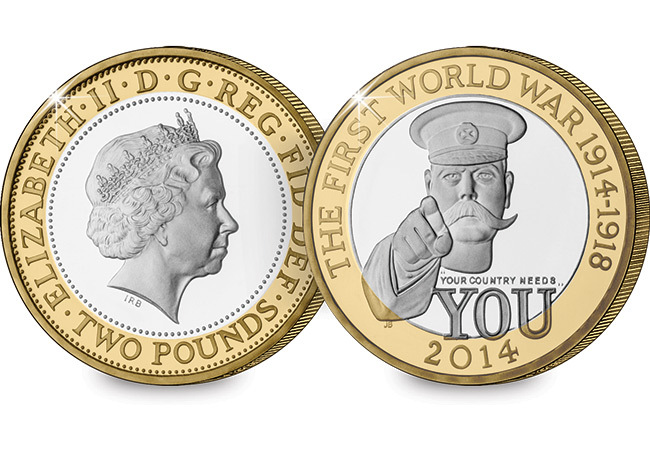 One of the most talked about coins of the year, this British £2 coin reproduced the iconic ‘Your Country Needs You’ poster which symbolised the early years of the First World War. It was hard to choose all the coins are really good .